This is a continuation of our interview series with strong chess players. 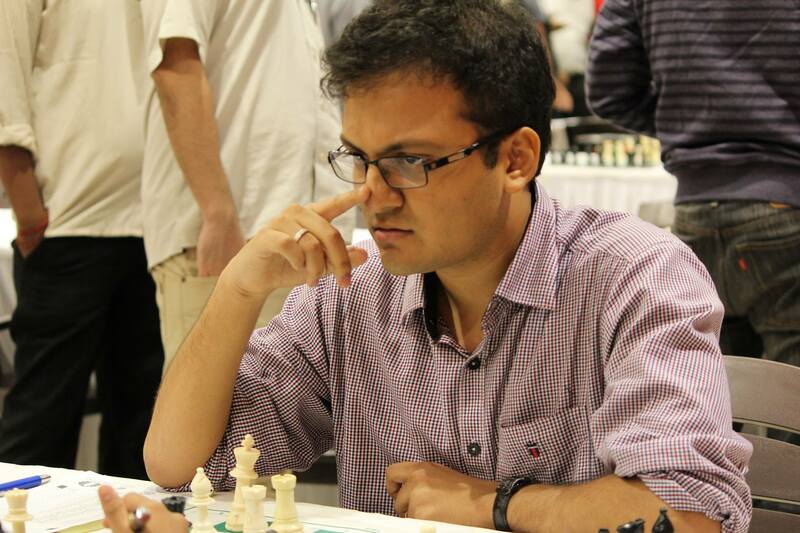 Previously, we have asked players like GM Alexander Ipatov, WGM Natalia Pogonina and IM Sugar Shah about how to improve at chess. 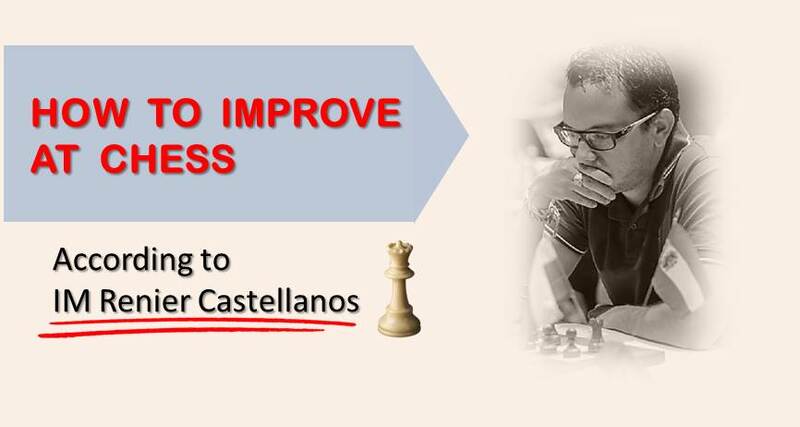 Today IM Renier Castellanos will suggest how to study chess and actually see progress. IM Castellanos worked as a professional chess coach for more than 10 years, training players of different skill levels and ages. You don’t want to miss his advice! 1. What is the quickest and most effective way to increase one’s ELO rating studying individually (no coach involved), for chess players 1400 – 1800 ELO? Answer: There are several books written specially for players in that ELO range. However, it is ”easy” and effective to work a lot on tactics, which can be done not only by solving puzzles, but also practicing blitz for example. Going through Grandmasters games from magazines or books is also useful, you begin a process of ”imitation” that quickly takes you to the next level. 2. Could you suggest an example of an effective training program for chess players of 1400 – 1800 strength? What changes in the program once the player’s level goes up? Answer: It is difficult to make progress without a coach or at least a stronger player to help you. It is not about whether you can learn on your own or not, but about time and knowing what to study. A player of this level, if working on his own, needs, first of all, a quick opening repertoire, something that he can play easily and without spending much time learning theory. A coach would suggest quickly where to go there. Going trough a lot of games by strong players will help to find out what kind of style suits him best, and there decide what openings to play. But do not underestimate the importance of the opening. In the technological days we are living and with so much information out there, even the most amateur player knows his share of theory. So it is important to survive this phase of the game. Once certain level is reached, then the program should basically stay the same. Work more on the areas you feel weak, opening theory, tactical vision, positional understanding, these are the more common. Last, we haven’t mentioned anything about studying endgames, they are very important, there is no doubt about it. However, chess nowadays is very tactical, very concrete, we advise getting skilled in these areas first and then study typical rook endgames for example. Answer: A player at this level should not spend a lot of time learning openings. As we said in the previous question, finding an opening for white against everything that black can play and the same for black. Something ”just to play”. Get the pieces out and castle. It is much more useful to understand concepts like initiative, weak squares, weak pawns etc. If the player doesn’t have a coach he needs to discover himself what style he has, what kind of openings suit him. If he thinks he is solid and conservative, he should find openings in that direction, if otherwise, he likes chaos and complications on the board, attacks, then there are several gambits that can be played. For example Morra against Sicilian, Evans against 1..e5 etc. Answer: This is a difficult question to answer as every player is different. Many players learn tricky openings trying to always get their opponent into a trap. This works only for a few games but many get stuck on this method and their chess understanding makes no improvement. Happens a lot at club level. Answer: Yes, blitz helps to memorize and practice your opening repertoire. It also helps you calculate moves faster and spot tactical ideas quickly. If a player trying to improve plays, let’s say 10 blitz games a day or more, but doing it with reason, trying to make his best effort in a very limited time, it can be helpful. However, the kind of player that spends hours and hours of the day playing blitz meaningless and just for the sake of it has very little to learn. His play becomes superficial and soon even his calculation deteriorates. Answer: The Sorcerer’s Apprentice by David Bronstein was very helpful when I was studying chess in my early years. Bronstein had a style that was unique and I liked it a lot. The book had also combinations explained, best games etc. 7. How much tactics does an improving chess player need to solve daily? What difficulty level that tactics needs to be? Answer: There is no number or limit for knowledge, so it depends on how much time he has for chess. However, tactical sessions of 1 hr every two or 3 days should be fine. As for the difficulty, anything that can be solved in less than 5 minutes is probably too easy, but doing a lot of them will improve the calculation ability of the player. Answer: Yes. We keep a database of our own games and every time we play a tournament game, the first thing to do after the game has finished is to insert it into this database. We also do databases for our opening preparations where we write the ideas and new moves etc. Answer: 100% of the time ChessBase 13. Answer: We have never tried this method of training. The chess engines are mostly used to find new ideas in certain openings but most importantly to find your mistakes in the games you play. Analyzing your games should be an essential part of training and learning and that’s the use we give to the chess engines.